If recent history is any guide, it's the San Francisco Giants' "turn" to win the World Series this year. For the past six years, the team has won the series three times, every other year: in 2010, 2012 and 2014. But the Giants' winning record isn't the only reason fans have embraced them. The team's marketing efforts, including creating unique ballpark experiences and capitalizing on its players' personalities, have played a huge part in building one of the most successful brands in baseball. "The success of a baseball team comes down to two things: selling tickets and selling sponsorships," said Adam Lippard, head of global sports and entertainment consulting at GMR Marketing. "The Giants are among the best at both of those because of the team and the experience they've created at the ballpark." The Giants are MLB's fourth most-valuable team, according to Forbes, after the New York Yankees, Los Angeles Dodgers and Boston Red Sox. The team has sponsorship deals with brands including AT&T, Coca-Cola, Toyota, Anheuser-Busch, Virgin America, Levi's, PlayStation, MillerCoors, Oracle, Yahoo and Salesforce.com. 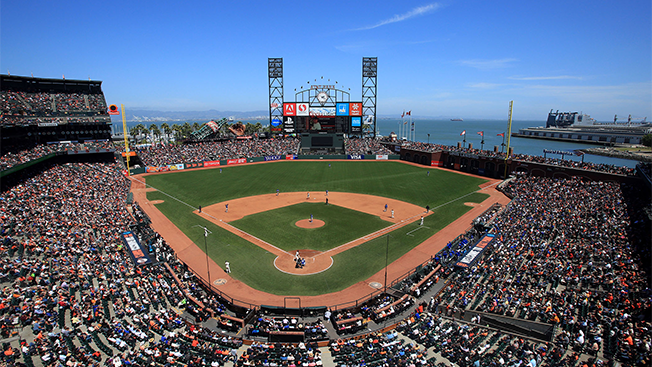 Attendance at the team's AT&T Park rose from 2.8 million in 2009 to 3.3 million in 2015, and season ticket sales grew from 19,016 in 2009 to 31,424 in 2016. The Giants have sold out every home regular season game since September 2010, and TV ratings increased 34 percent from 2009 to 2015. "Winning never hurts. It makes our jobs easier. But building a brand and building a fan base is so much more than what happens on the field," explained Mario Alioto, the Giants' evp of business operations. 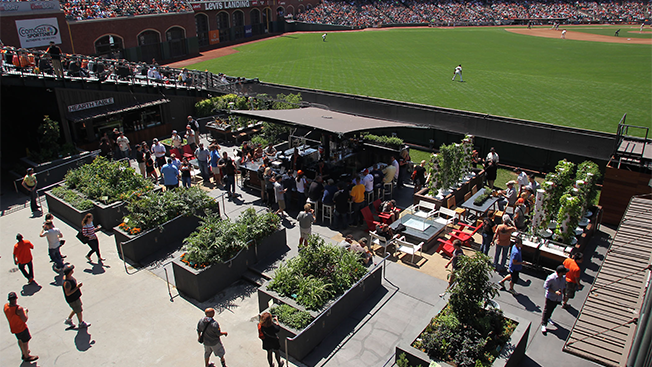 AT&T Park, a gorgeous venue nestled in San Francisco Bay, offers plenty of amenities for casual and die-hard fans, including the Garden at AT&T Park, a restaurant and organic garden below the scoreboard in center field that serves the fresh produce grown there, and the @Café, a social media hub which streams fans' social media content on big-screen displays and offers a virtual reality experience where fans can spend a day at Giants spring training. "Casual fans or people who aren't even fans want to come out to the ballpark because of the hype and the experience," said Giants vp, marketing and advertising Danny Dann. "We've been able to turn those casual fans into avid fans." The Giants marketing team often capitalizes on the personalities of fans' favorite players, like quirky right fielder Hunter Pence. 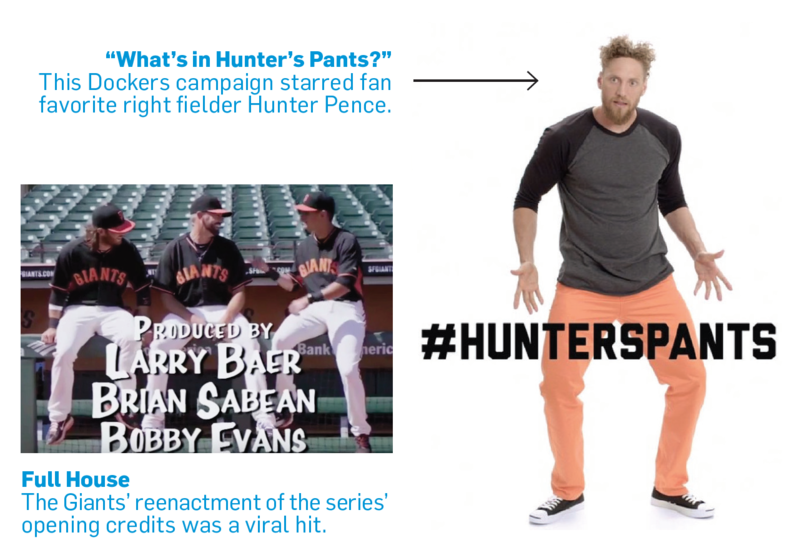 Last year, Pence—who is also one of the most active players on social media—appeared in a campaign for Giants' brand partner Dockers called "What's in Hunter's Pants?" 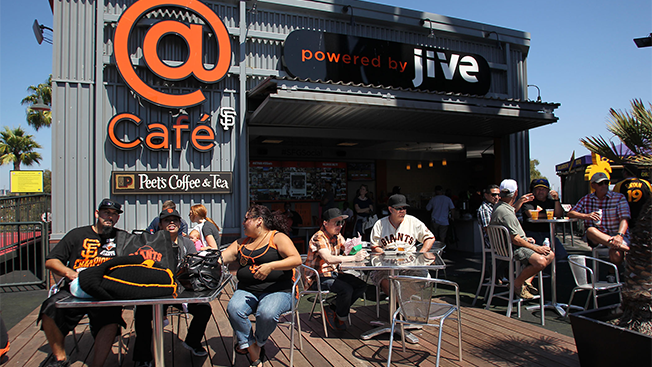 The team also regularly recruits players to promote special events at AT&T Park. Pence, a Marvel comics buff, hosted a video tour of Marvel's headquarters to promote Marvel Night at the ballpark, while shortstop Brandon Crawford, whose kids are Lego fans, helped publicize Lego Day in a Facebook video. "Through social media, you can tell when there's a love affair blossoming with certain players. It's our job to tell their stories and get their personalities to come out," said Bryan Srabian, the Giants' vp of brand development and digital media. The Giants scored a viral hit with one of its promotional plays in 2015 when manager Bruce Bochy and five players reenacted the opening credits of San Francisco-set Full House for a YouTube video for a Full House-themed night at the ballpark. This year, Pence appeared as himself in an episode of Fuller House on Netflix, which was shot at a Giants' game last season. "Having really young, fun, marketable athletes on the team who are willing to do more unusual things, like these guys are, is really important to keeping fans engaged," noted Matt Powell, sports industry analyst at NPD Group. Focusing on fun will also help the Giants keep fans interested if the team's performance goes south, Alioto added. "Of course we want to win the World Series every year; every team does," he said. "But we want to make the connection between our fans and our organization so tight that, if we have a rough year, they're going to stick with us. They're not with us because of wins and losses; they're with us because we're the brand they want to be connected with."